Eastern North Atlantic (ENA) – located on Graciosa Island, Azores, Portugal. 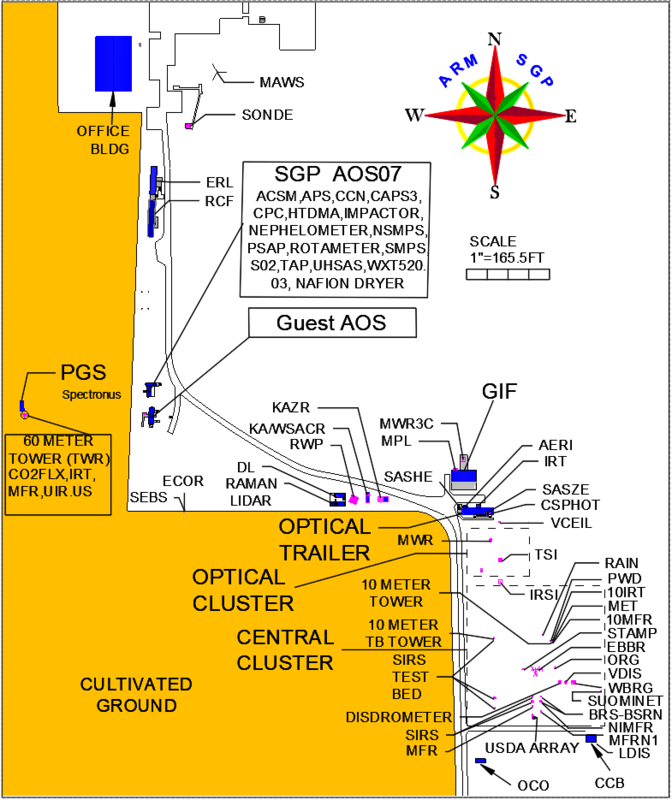 ARM Mobile Facility (AMF): Three AMF are used by scientists to obtain atmospheric measurements, similar to those at the fixed-location observatories, for periods of about a year at a time anywhere in the world. The third mobile facility is currently undergoing an extended deployment at Oliktok Point, Alaska. ARM Aerial Facility (AAF): The AAF obtains aerial measurements in the skies above the fixed-location and AMF observatories. Multiple aircraft platforms, including the Gulfstream-159, unmanned aerial systems, and tethered balloons are available to researchers to address a wide range of science requirements. Data from past deployments of the AMF and AAF, and the former Tropical Western Pacific (TWP) observatory, are a valuable asset to researchers worldwide and are easily accessible from the ARM Data Center through Data Discovery. Pan and zoom using buttons in bottom right corner. Mouse over a marker to view observatory name. Click on a map marker to zoom in on an observatory and view more information. Double-click anywhere on map to return to global view.